Apple has just released iOS 9 GM (Golden Master) and iOS 9.1 beta 1. The download links are now live for all supported iPhone, iPad and iPod touch devices. With the released of the GM build of iOS 9, we can assume the update is near public release. The final build of iOS 9.0 is expected to arrive next week, on September 16, ahead of the iPhone 6s and iPhone 6s Plus launch. With iOS 9, Apple has predominantly focused on stabilizing the functionality introduced with iOS 8. It also brings a number of evolutionary feature upgrades that will definitely appeal to iPhone, iPad and iPod touch owners. Apple is attempting to market iOS 9 as providing “a better experience with every touch”. Newly implemented multitasking features for iPad users will really help individuals get the most out of Apple’s latest tablet hardware. There’s also dramatic improvements to Siri, including Proactive Assistant, that allows the company’s digital assistant to do more than ever before. Perhaps most importantly, Apple has focused a lot of attention and resources towards stabilizing the foundation of the platform, the result of which, is a faster more reliable experience that increases battery life and security. Here's all you need to know about Apple iOS 9. The latest version of Apple's mobile operating system introduces a number of notable feature inclusions, performance and stability improvements that should hopefully provide a better, more fluid iOS experience to all users installing it onto their devices. Besides the iOS 9 GM, Apple also released iOS 9.1 beta 1, which is expected to be released when the new iPad Pro ships next month. Both iOS 9 Golden Master seed and iOS 9.1 beta 1 are available to download immediately, directly through Apple’s Developer Program website. Registered members are invited to access their accounts and choose the correct IPSW file pertaining to their individual device. 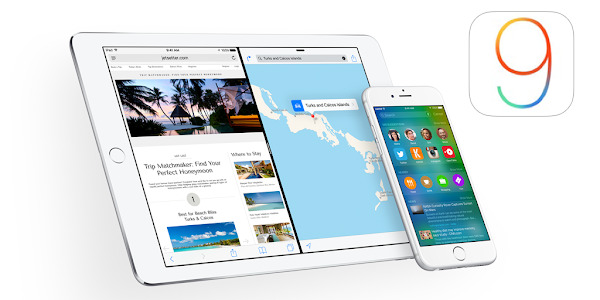 Apple iOS 9 offers support for the same devices which were supported by iOS 8. Developers should also know that a new Xcode 7 GM is also being seeded right now, and should reflect the final changes before it is officially launched via the App Store. You can download the following iOS 9 IPSW files for your device from the following links and manually install it on your device using iTunes. You can also allow the installation to take place directly on your device through Settings.